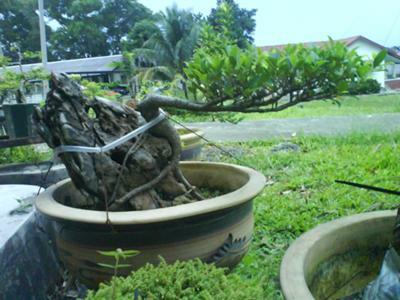 THIS IS MY FICUS ROOT OVER ROCK THAT I MADE BY CUTTUNG IN 2003.. I thought it was very good, however I did think it would look a lot better if it was growing up the rock, instead of down from it. Other than that it was one of the best bonsai I have seen!